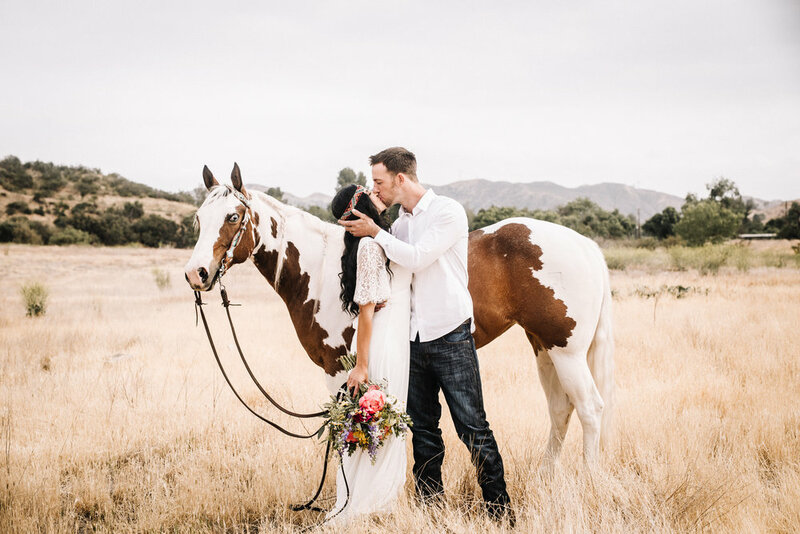 A horse lovers dream wedding right here. 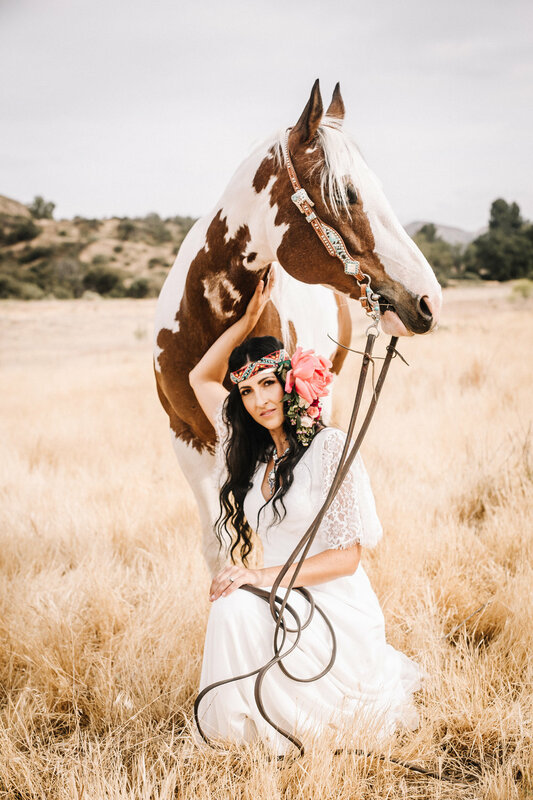 The dress, the florals and OMG, the paint horse. 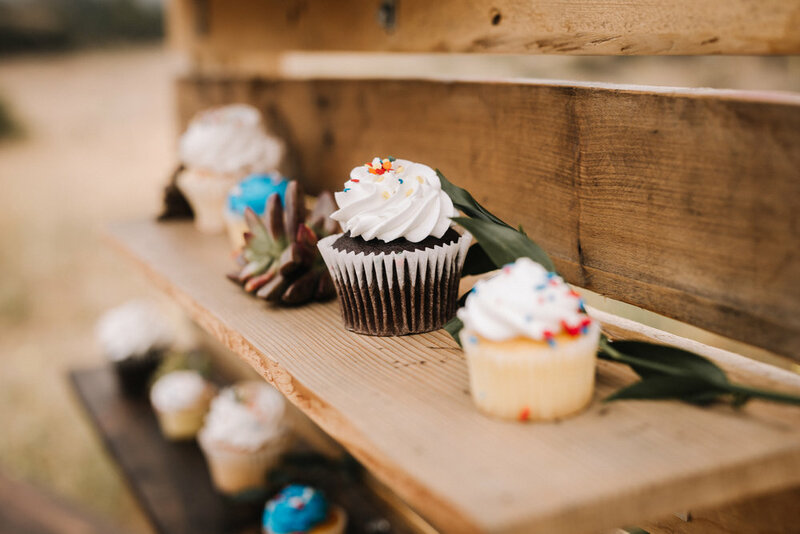 I had the opportunity to participate in this shoot with some amazing vendors. 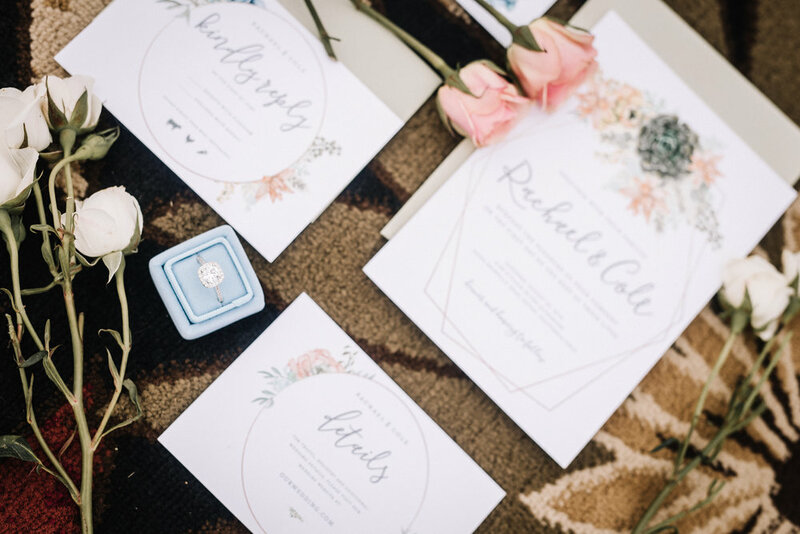 This Southwestern Ranch Styled shoot was perfection. 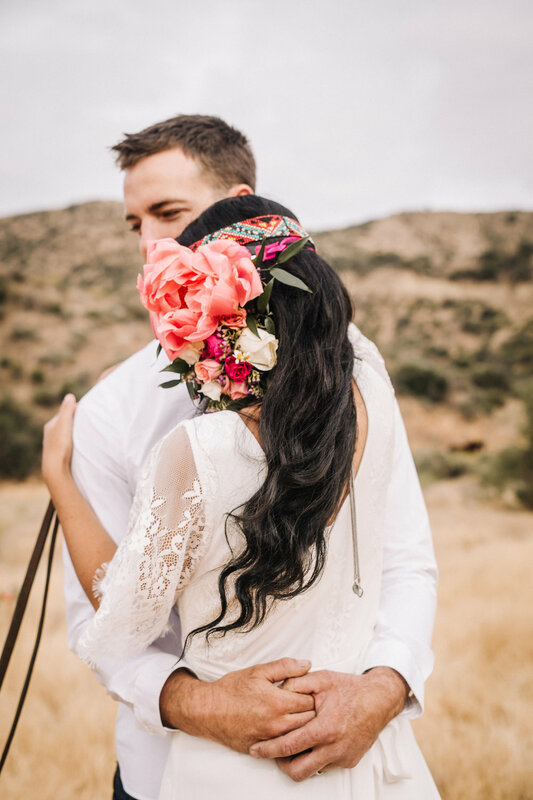 I loved the old traditional western style with the use of Aztec, skulls, and turquoise mixed with the modern floral headpiece and bright vibrant flowers. As you can see this couple had blast during the portraits with Ice. I am beyond excited that the WeddingChicks will be featurung this shoot soon.